Choose Your Ride. One Up High and One Down Below. 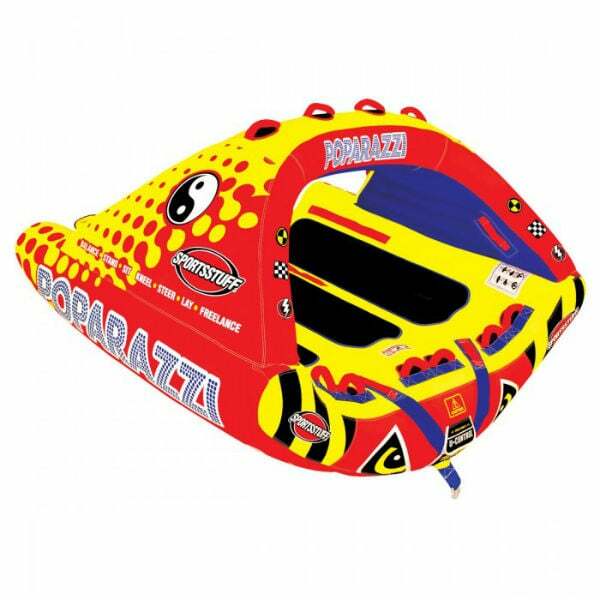 Just like the original, the Poparazzi 2 is bad to the bone and now comes in a more compact version to provide even more agility and performance. The unique winged shape design with a rocker underside provides the ability for the rider to carve into the wake and glide across the surface of the water with very little drag. With a single turn of the boat the rider below will cruise deep into the wake while the rider above rises high atop of it. 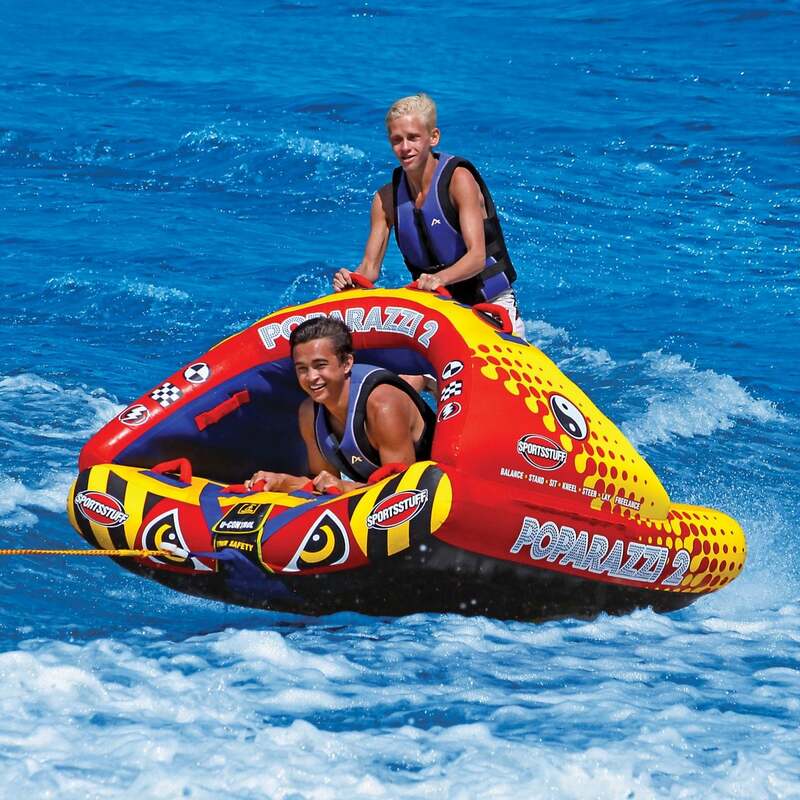 It's a ride like no other and shows why this towable is on the top of the list when it comes to boating and tubing enthusiasts. Deflated Dimensions 75" x 65"